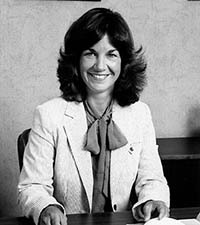 SEMA Hall of Fame - Donna Imrie Foulger, 1982, SEMA. Donna Imrie Foulger began working at SEMA as a young college student. 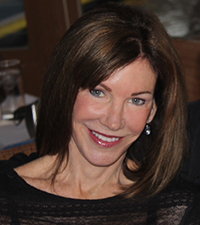 With a very small staff, she and then CEO Eric Grant, spent countless hours creating a solidly recognized organization. He through marketing efforts; she through endeavors as membership liaison. SEMA went through its initial growing pains with a small staff wearing many hats. Soon, however, the association began unprecedented growth in prestige within the industry, as evidenced by growth of the SEMA Show, membership rolls, and legislative successes. 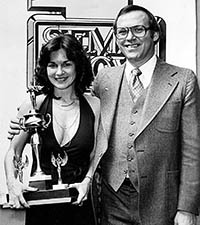 Donna soon became Communications Director, writing for countless trade and consumer publications, and writing, editing and publishing SEMA NEWS, today, the bible of the industry. She was promoted to operations director some ten years later, and became heavily involved in show production and financial management, with then CEO Chuck Blum. 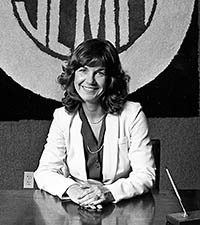 It was during Donna's tenure that SEMA grew from a fledgling group into an internationally recognized trade association. She wore countless hats during her time and was often referred to as the 'glue' that held it together during its initial growing pains. She was a hardworking and dedicated individual who was recognized for her achievements by Induction into the Hall of Fame in 1982.